Readers' photos on the theme of "amateur sport". Each week, we publish a gallery of readers' pictures on a set theme. 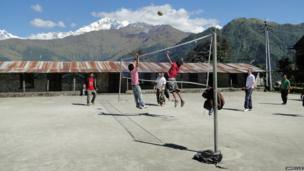 This week it is "amateur sport", and we begin with this picture by James Clee of a game of volleyball in the Himalayas in Nepal. Chris Chen: "French climber Caroline Sinno leaving her feet behind and climbing the classic boulder problem, Resident Evil in Joe's Valley, Utah, on a month-long trip to the United States." Chris Tuck: "Recurve archery shoot in Glasgow. 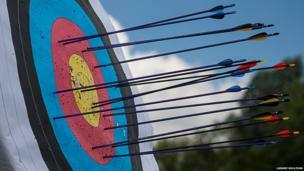 There are over 1,240 registered archery clubs in the UK and 34,000 Archery GB members." 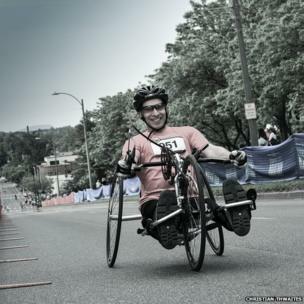 Christian Thwaites: "A wheelchair competitor in the Vermont City Marathon (Vermont, USA). There was a brutal uphill but he was cheery and in the spirit to tough it out." 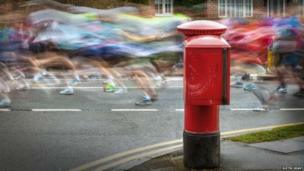 Justin Grant: "I took this picture at the start line of the Hillingdon marathon. I wanted to show the feeling of speed at the beginning of the race." 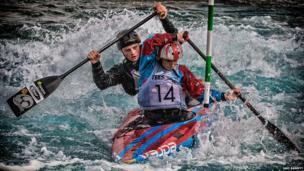 Jane Barrett: "Oliphant and Hazelwood, a couple of young competitors, taking part in the GB selection trials in the C2 event, negotiating one of the gates at Lee Valley." 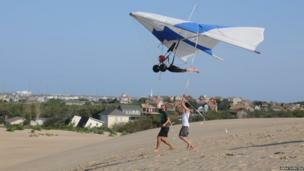 Anna Sobotka: "This picture was taken at Kitty Hawk State Park in North Carolina during an exciting lesson in hang-gliding." 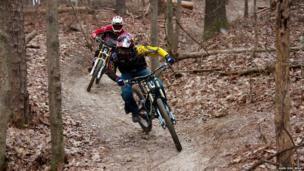 Karl Hsu What: "Downhill mountain biking in Atlanta." 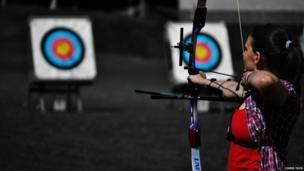 Larane Sullivan: "I took this picture at my son's archery club, Rushgreen Bowmen of Witham, Essex, in June this year. They were raising money for a local charity." Jenny Downing: "A lone ice hockey player perfects his puck control on a patch of ice that's been swept clear of snow. 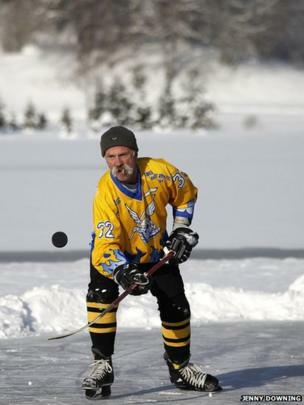 The temperature is so low that his breath has turned his moustache into an icicle. That's what I call dedication." 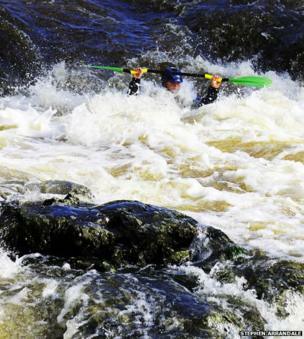 Stephen Arrandale: "Taken at Cenarth Falls, in Cardigan, west Wales, of a local canoeing competition." 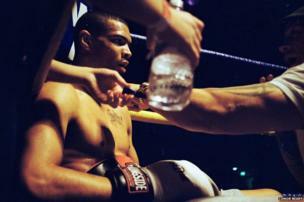 And finally, a photograph by Conor Beary from a series he is working on about the world of boxing. The next theme is "dance", and the deadline for your entries is 7 October. If you would like to enter, send your pictures to yourpics@bbc.co.uk. Further details and terms can be found by following the link below this gallery.